Remember the good old days when we used to drink water in claypots? 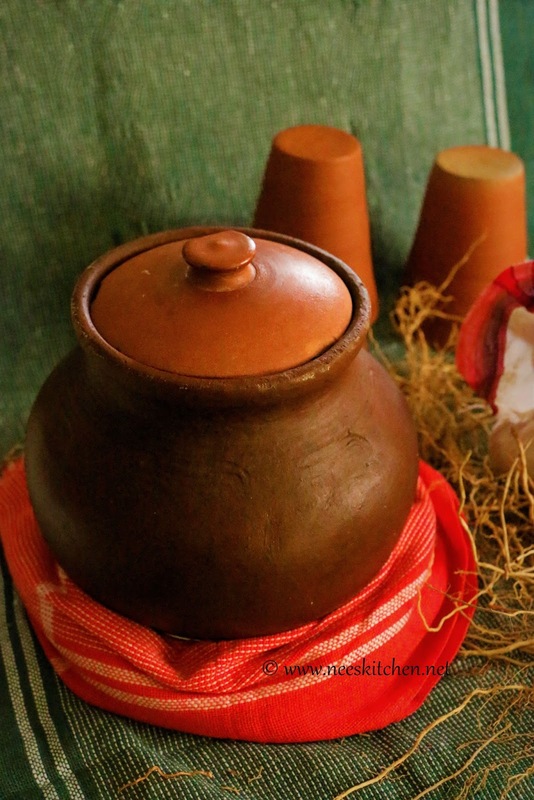 Cumin seed,Pepper,Methi seeds,Vettiver herbs are packed into a thin muslin cloth and dropped into a claypot water. The water will be then infused overnight and is ready for consumption the very next morning. The coolness in the claypot is maintained by placing it in a moist jute cloth and spraying water around at regular intervals. 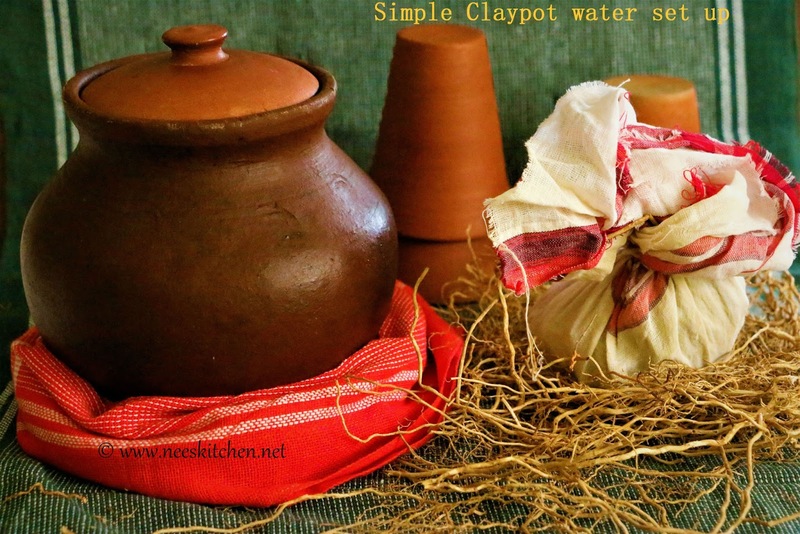 This post is all about setting up a simple claypot water infused with condiment and spices from your kitchen. We all know it has a myriad of health benefits. 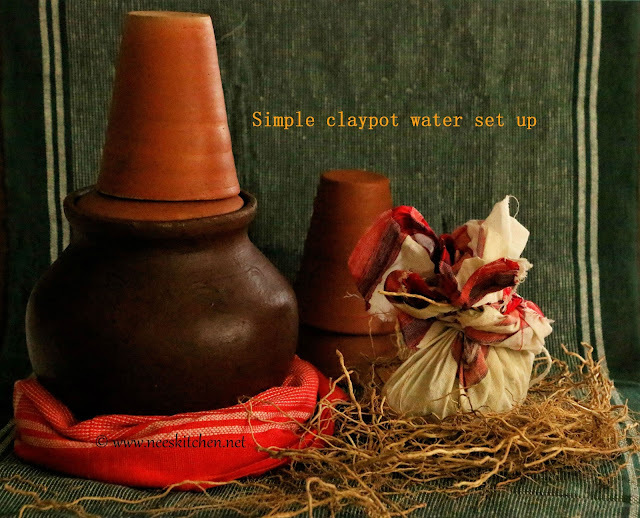 With our current lifestyle, maintaining a claypot covered with mud in one corner of the house has become a bit challenging. Also, the drinking water which we filter at times removes many minerals hence it is good for us to infuse with some herbs & spices which are available readily in our kitchen. In this post I have included most the spices and condiments which are readily available in most of the kitchen. However, vettiver alone is not a common ingredient. I got this in Chennai - Dubba chetty shop (Mylapore) and they stay fresh for a year if maintained properly. There are few more herbs which can be included and are optional. Some of them are holy basil (tulsi), cardamom. Both of them enhance the flavour of water. However if you are using tulsi its good to change the herbal pack every day as we use fresh leaves and they would get spoilt easily. I have read that putting one seed of thethankottai or Clear nut tree (Hindi - Nirmali , Botanical Name : Strychnos potatorum) in the claypot would purify the impurities. However I have not got it so far. Whenever I try it I shall update this blog. 2. Tie the cloth tightly with a string. 4. Drop the spices bundle into the water. 5. Moist the jute cloth with water and tie it around the pot. This step is optional. 7. Repeat this process every day for best results. However,the spice cloth can stay upto 2 days fresh.